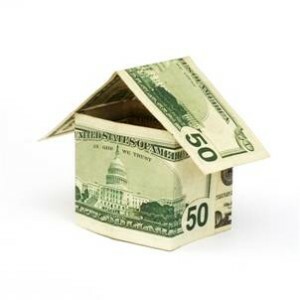 Can Bankruptcy Reduce Your House Payments? A previous post discussed some of the general aspects of a Chapter 13 Bankruptcy plan. For homeowners who are delinquent on their mortgages, the amount to be repaid may be substantially lower than the amount the moneylender claims that you owe. Be on the lookout for such fees, and question them if they pop up. An attorney may also be able to argue that such fees are not reasonably related to the mortgage transaction, and have these fees stricken from the delinquency amount. Cram-down: In some cases, you may be able to repay the current Fair Market Value of an item as opposed to the contract price. For example, if you bought a house for $100,000 but it is now only worth $80,000, you may be able to cram down the mortgage $20,000. Strip-off: If there are multiple liens on a house and the FMV is too low to secure both lies, the junior lien may be subject to removal. Many people who bought real estate with an 80/20 financing package may be in this situation. Statute of limitations: A Texas court has held that if a lender sends an acceleration notice but fails to foreclose within the proper time period, the lender has forfeited its right to foreclose on the note. A Chapter 13 bankruptcy is nearly always voluntary, meaning that you must file it yourself. To make an investment in a better financial future, contact our office in Melbourne, Florida for your free consultation. This entry was posted in Bankruptcy, Consumer Lending, Debt, Foreclosure, Investment Real Estate and tagged bankruptcy, Chapter 13 Bankruptcy, Cocoa Beach, Consumer Lending, debt, Faro & Crowder, Florida, lien reduction on February 22, 2014 by Michael Faro.